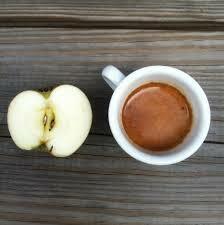 what do you get when an apple and cup of coffee cross paths? Apple Care better be able to get to the Core of the trouble, Beth. I hope to heck you downloaded to the Cloud lately at the least … but let’s not get ahead of our crossed fingers, toes and eyes. I see. Maybe it will dry out by istelf, also. Hope hope hope. Wouldn’t that be wonderful ? Did you caffienate your keyboard? Uh oh. Oh dear, hope the computer decaffeinates and detoxes soon! What’s the problem? Some of us closet Apple teckies may be able to assist. Oh no! I have never split coffee on my laptop, the odd glass of grappa or wine but never coffee. Oh Boy. No further comment. I found this to be funny, although not for your situation! So sorry about the coffee (spill?) and the Apple computer. I love with my cell phone, to be able to insert it into a big tub of rice, too bad computers aren’t like phones. . . hugs! I hope yours gets fixed without too much money or trouble… smiles! Oh my. May the force be with you. Oh no! My thoughts and condolences are with your Macbook in this terrible time. My Mac- Michael sends his condolences also, while telling me to move my coffee far away from him. you are a clever one, Beth! Love how you say something without actually saying it. Can totally tell you’re a kindergarten teacher, haha.